In recent years, the cases of different kinds of cancer are on the rise. While some cancers are detected at an early stage, the others are detected in an advanced stage, causing more pain to the patient. The cost of treatment can be from Rs 2 lacs to Rs 25 lacs, depending on the stage of cancer. Hence, it is utmost important to buy cancer insurance even if you have standard health insurance. If planned properly, such insurance could prove a boon in a life-threatening disease like cancer. 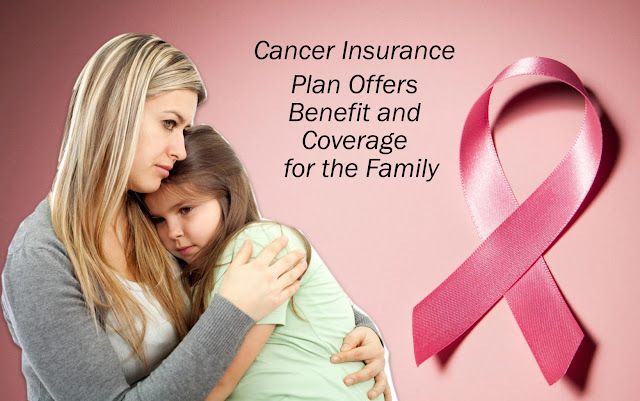 It is advisable to avail cancer insurance plan as early as possible. You cannot take the cancer insurance plan after the cancer is detected. Moreover, there may be a waiting period of one year to two years before you can claim the compensation from your cancer insurance plan. Like any other health insurance product, the cost of premium increases as your age increases. There is no point in taking the insurance plan that can cover only 10% of the treatment cost. As stated above, the cost of treatment may vary from Rs 2 lacs to Rs 25 lacs depending on the stage and type of cancer. Hence, the best cancer insurance plan should be able to cover you adequately so that you can remain protected financially in the true sense. If you are a prime earning member of your family, diagnosis of cancer may give you a double shock. In addition to huge treatment cost, your regular income suffers, as for many months or even years, you may not be able to resume working. In such a case, premium waiver benefit could be a boon in the most difficult phase of your life. Under such a benefit, once the cancer is diagnosed, your premium is waived off for three to five years depending on the terms and conditions of the policy. The probability of occurring the disease is higher at later as compared to a younger age. The cancer is not an exception from this fact. If you take the cancer insurance at the age of 30 with ten years’ term, you will not be covered after your age turns 40. In most cases, the insurance companies offer the term up to 75 years of your age, subject to a maximum limit of 40 years’ term. There are three stages of cancer, based on when it is diagnosed: Precancer stage, Early Stage and Critical Stage. The expenses are lower in the pre-cancer stage as compared to the critical stage. The insurance company pays you compensation as a fixed percentage of sum assured based on the stage of cancer. Make sure your cancer insurance plan covers you from all the stages of cancer. In a nutshell, you should buy the cancer insurance plan that is comprehensive in coverage and provides sufficient financial support. You can also buy cancer insurance online from a reputed insurance company like Bajaj Finserv. Buying the plan online saves your time and efforts, and it also gives you more transparency by providing every detail related to the plan on the website of the company.